Throughout the month of May 2017, there were a lot of processor announcements from both Intel and AMD. This competition heating up is likely to help bring the cost down, as explained here and here, a good thing. 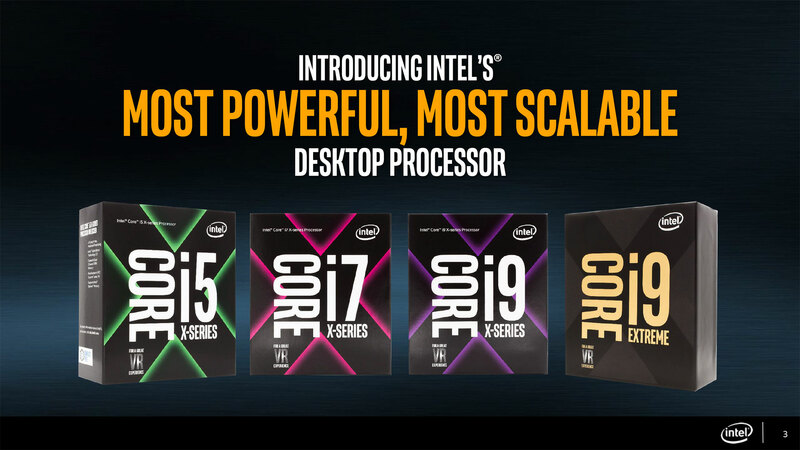 But so far, Intel's response to increased pressure from AMD seems a bit messy. 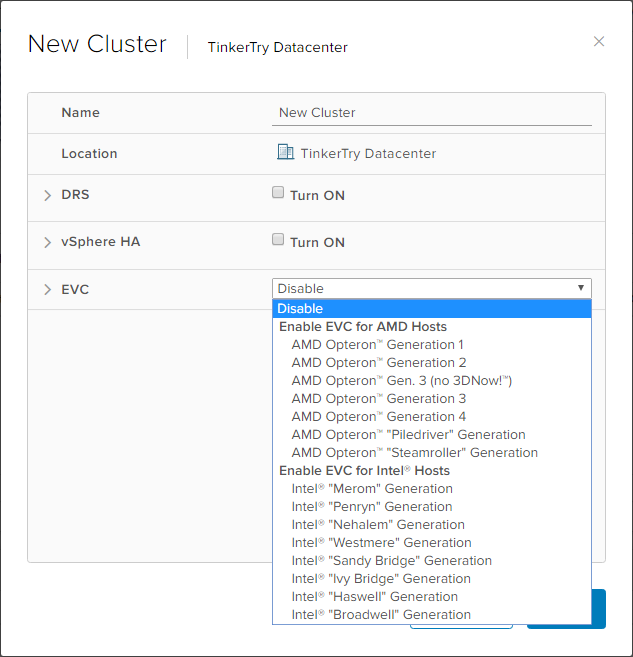 TinkerTry's focus will likely remain on the efficient and more affordable uniprocessor products intended for the datacenter, which also means they're most likely to be on the VCG, aka, the VMware Compatibility Guide. 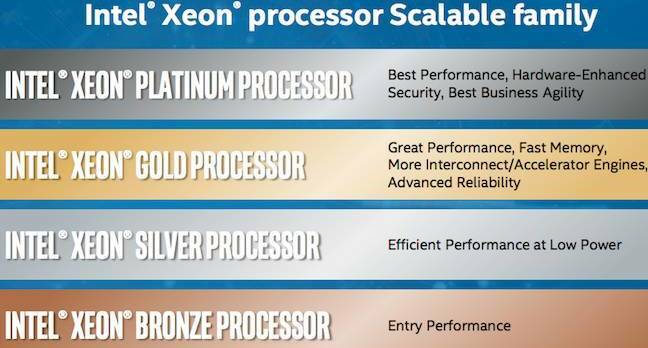 See Xeon D on the VCG here. Like any busy IT Professional with limits on spare time and budget, I rely on careful research to narrow my test plans to those products which make the most sense for the least cents. 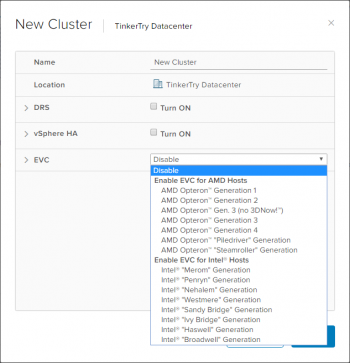 After you peruse the many article highlights I've collected below, you may also get the feeling that even with all the announcements below, the Xeon D family will likely continue to be the darling of the home virtualization lab enthusiast for years to come. Its 4 to 16 core variants began shipping about a year ago, in a variety of compact and efficient Mini ITX and Flex ITX SoC designs, at that sweet spot of market maturity right now, especially with the latest BIOS and IPMI firmware releases. The lower end Atom and Pentium and Xeon E3 products just don't quite meet up to the Xeon D's feature set, lacking the 10GbE support a vSAN guy like me requires, to keep that possibility of a performant multi-node All-Flash vSAN open. Yes, even if Xeon D models aren't likely to make it onto the vSAN Ready Node list. This reality is something I'm trying to change by the way, on a best-effort basis, which has so far been in vain. vSphere Client, showing EVC settings that dumb CPU features down to the oldest CPU in the cluster. 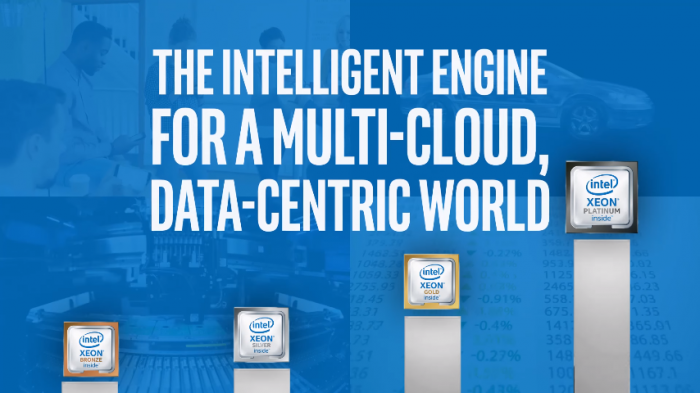 The Broadwell Generation includes Xeon D.
FYI, many Xeon D products from Supermicro like the 16-Core Xeon D 1587 actually boast a 7 year product cycle. The only significant competition on the horizon seems to be AMD's EPYC, with its clear datacenter focus. Too early to know for sure, with scant details known yet about street pricing, VMware ESXi 6.x support, efficiency, and availability. Remember, VMware is focused on the datacenter, and historically, this meant Intel Xeon and some high-end AMD CPUs, not the Intel Core products found in products like the Intel NUC. One thing is for sure. 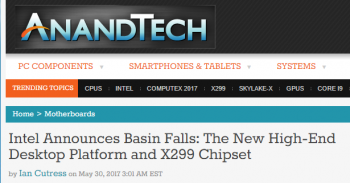 Once you read through the headlines below, you'll have a much better sense of what's coming up soon in CPU tech. There may also be an infusion of the successful Thunderbolt 3 / USB 3.1 / USB-C seen in many new premium laptops and workstations. 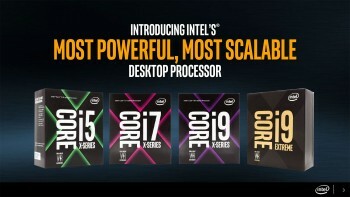 Intel Xeon Processor Scalable Family - Intel Press Kit. ... AMD says its new Naples server chips are fully compatible with Intel's architecture but will be cheaper than Intel's and offer better performance. AMD says it combined the computing cores in Naples with other required systems on the same chip, providing greater speed and efficiency over Intel's multi-chip design. Image courtesy of The Next Platform, click to visit the source. AMD announced several key EPYC details. The first one is going to be major. Every EPYC CPU is what the company calls, “unconstrained.” That means that every feature is found on every CPU. 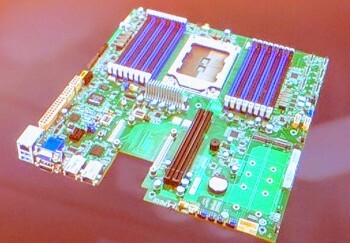 This is a large motherboard, to accomodate 8 or even 16 DIMMs. Photo courtesy of STH, click image to read the source. Intel thinks it has solution. 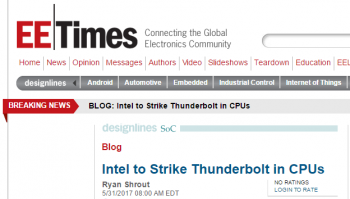 The company will begin to integrate Thunderbolt 3 directly onto the CPU although it hasn’t specified when. What a mess, who wants to think about all that? "I have some things to say - Core i9 & X299" at Linus Tech Tips. Coffee lake parts arriving at the end of this year, going from 2 cores to 4 but staying at 15 watts, and (maybe) 30% faster! 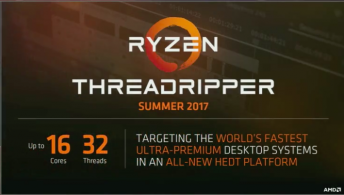 Added Linus Tech Tips video above, for his analysis of Intel's "knee jerk" reaction to Threadripper. Also added index, with better organized sections. The "AS -4023S-TR (Coming soon)" variant seems to be the only non-rackmount model, of interest to the home virtualization enthusiast. Based on published processor specs of these dual socket systems, we already know that even at idle, this 1280 Watt power supply tower system will likely use upwards of 3x the power of any Xeon D system, which get by just fine with a 250 watt power supply. EPYC is powerful, but also less likely to be practical as an always-on system for your home lab. VMUG Advantage just added the latest NSX 6.3.1 and All Flash vSAN 6.6 bits to EVALExperience, great for vSphere home labs, still just $200 a year!